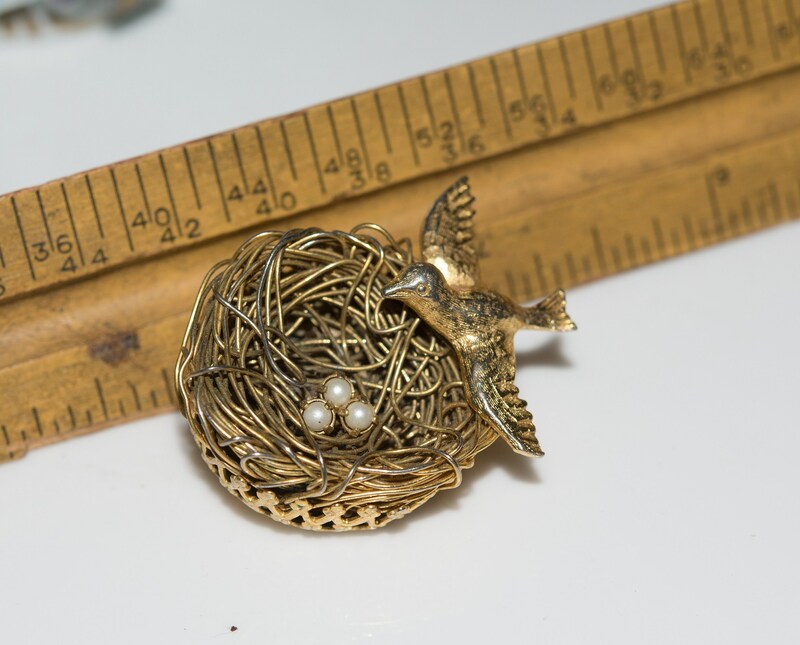 1962-1963 Jeanne Costume Jewelry Bird Nest Brooch with faux pearls Popular in the 60s Delicate Bird with wire nest pin. 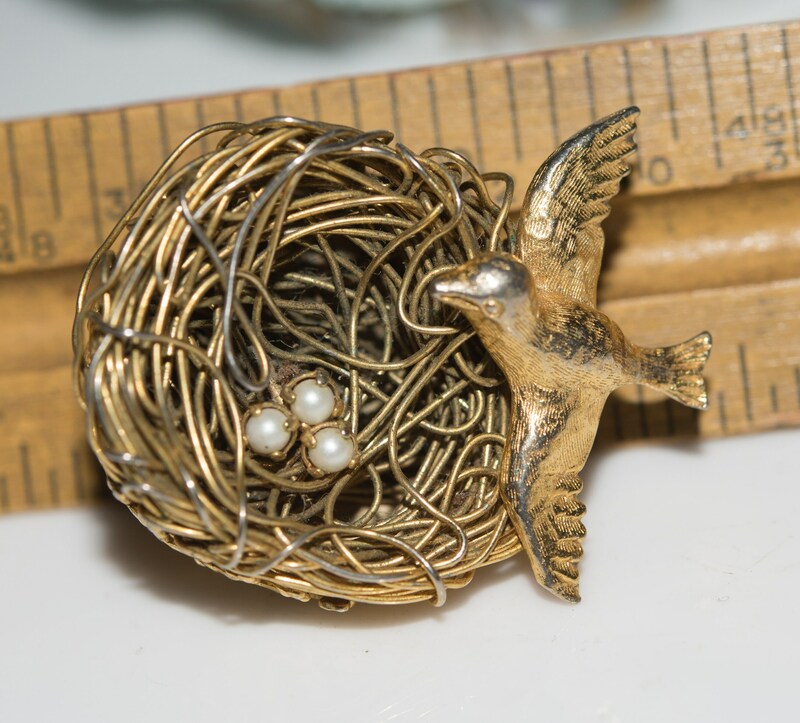 Offering a gold tone brooch with delicate bird on edge of wire birds nest. 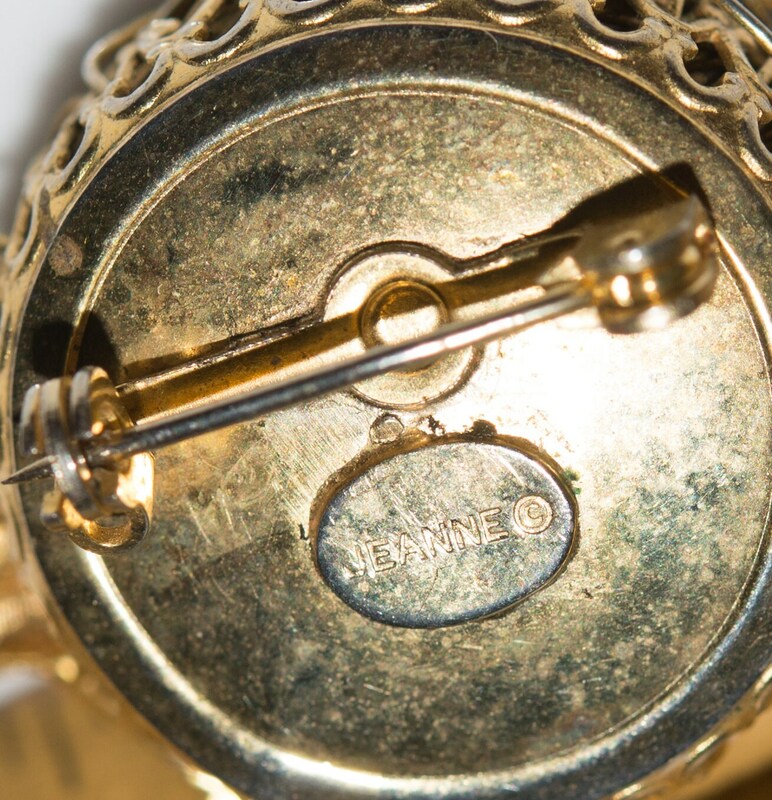 The mark on the back dates the piece to 1962 or 63 Jeanne was a well made line of costume jewelry targetting young girls in advertisments like Seventeen. 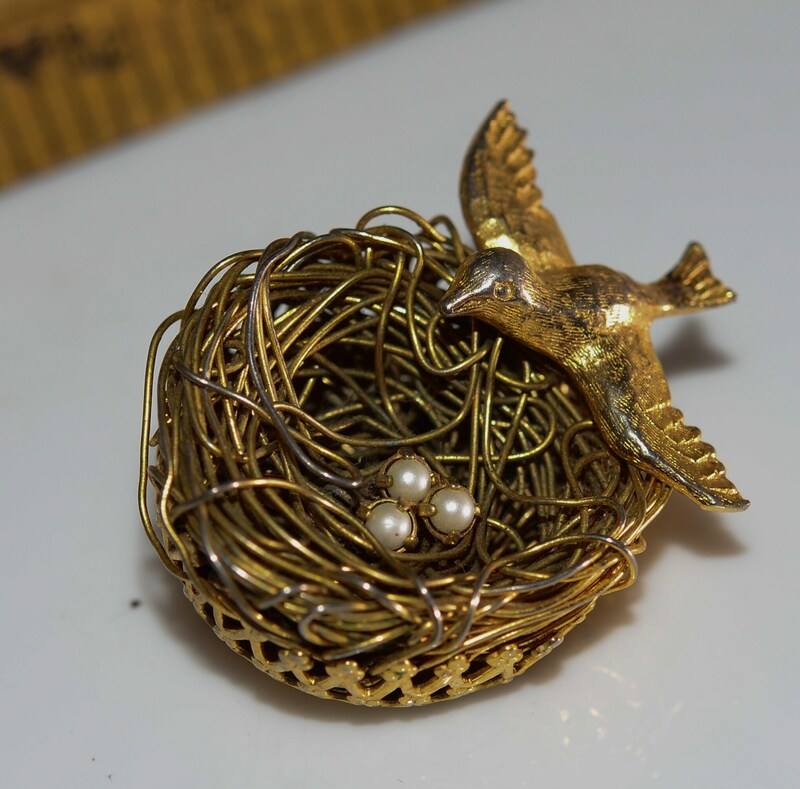 This piece is very well made nest holds three little faux pearl eggs. Clasp on back is working. 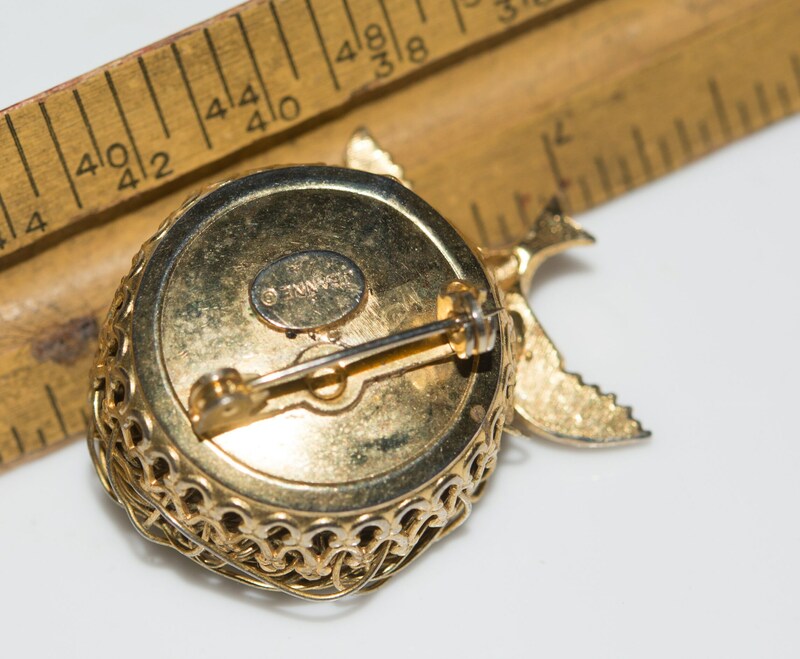 Some loss of gold tone to some of the wires in the nest but overall a very nice piece.